McManus ended 2018 having connected on 20 of 25 field goals, with a long of 53, and converting all 35 of his point-after attempts. 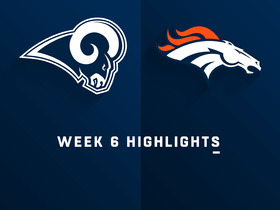 McManus missed a 58-yard field goal attempt as time expired in the first half and drilled two extra-point tries in the Broncos' 27-14 loss to the Raiders on Monday. McManus made all three of his field-goal attempts as well as his lone extra-point try in Saturday night's 17-16 loss to the Browns. 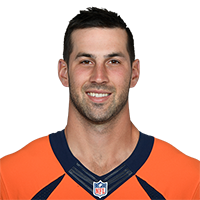 Analysis: McManus converted from 44, 42 and 29 yards on his respective field goals, helping him hit double figures in points for the first time since Week 4. 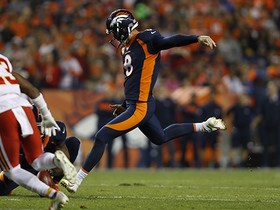 McManus did not attempt a field goal but made both his extra-point tries in Sunday's 20-14 loss to the 49ers. Analysis: McManus' mere two points tied his season low. Considering he only boasts 80 points through 13 games, however, fantasy owners should've recalibrated their expectations of McManus -- who averaged about 114 points over the previous three seasons -- by now. 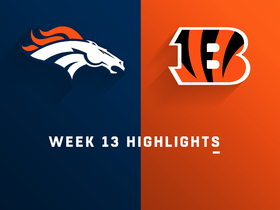 McManus made one of his two field-goal attempts and hit all three of his extra-point tries in Sunday's 24-10 win over the Bengals. Analysis: McManus converted from 29 yards but missed wide left on a 50-yard attempt to begin the game. Through 12 appearances, he's totaled 78 points but hasn't topped six points since Week 7. McManus made his only field-goal attempt and all three of his extra-point tries in Sunday's 24-17 win over the Steelers. 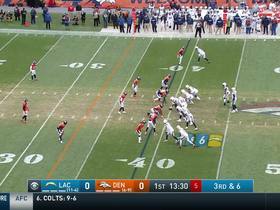 Analysis: McManus converted from 41 yards on his lone field goal. That brought his season tally to 72 points, which ranks 17th among kickers league-wide. 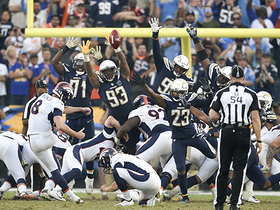 McManus hit both of his extra-point attempts and a 34-yard field goal during Sunday's 23-22 win over the Chargers. 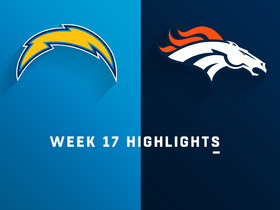 Analysis: After missing attempts of more than 50 yards right before halftime and to end the game against Houston in Week 9, McManus buried a 34-yarder to give the Broncos the last-second win. The Temple product is a perfect 24-for-24 on extra-point attempts, and 12-for-12 on field goals of less than 50 yards this season. 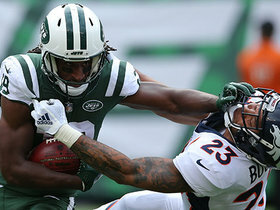 McManus missed two of his three field-goal attempts, including a potential game-winning 51-yarder as time expired, but made both his extra-point tries in Week 9's loss to the Texans. Analysis: McManus missed wide right twice, but in his defense, his first misfire came from a whopping 62 yards out. While he was able to convert from 44 yards in the first quarter, McManus will still be disappointed by failing an opportunity to give his team a victory later on. 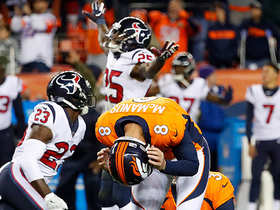 Denver Broncos kicker Brandon McManus misses a would-be game-wining 51-yard field goal as time expires. 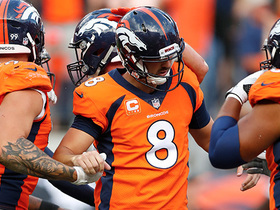 Denver Broncos kicker Brandon McManus rushes on field to kick FG as first half expires. 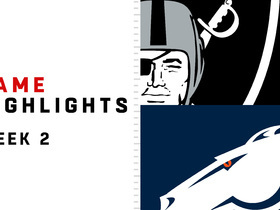 Watch the best plays between the Oakland Raiders and Denver Broncos in Week 2 of 2018.